House of Safety Consultants (PTY) Ltd was founded in 2004 by Hennie Pretorius. The company primarily focused on petrochemical companies. Over the years House of Safety expanded their services to all industries in South Africa. House of Safety provides a fresh approach to occupational health and safety with an online system developed to the highest standards. This allows clients and Contractors to access and manage all Health, Safety, Security and Environmental documentation and information remotely in real time, when they need it, with applicable legislation and client standards. We will keep our clients informed of any changes in legislation. 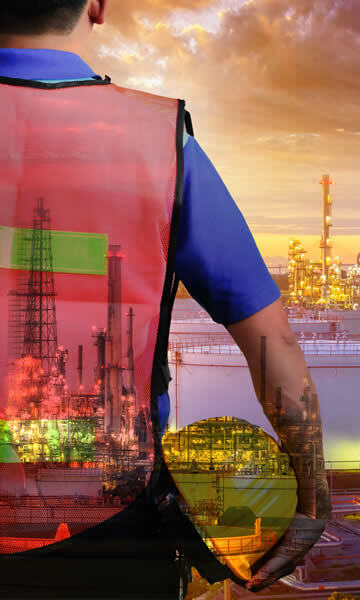 We offer clients a sustainable single-source solution on all Health, Safety, Security and Environmental requirements in all industries. Our vision is to become the first-choice South African Health, Safety, Security & Environmental service provider. To be the HSSE market leader in the industry in all aspects of performance, compliance and assurance using proven experience, skills and in-depth industry knowledge, while ensuring the highest HSSE standards and awareness. Our primary aim is to build a long-term relationship with our clients, based on mutual trust. To ensure that our clients achieve their strategies, by lowering their risk profile with effective technical risk management processes. An ethical, law-abiding enterprise that will endeavour to interact with its staff, customers and suppliers honestly, with respect for the individual and due observance of quality, health, safety and environmental protection standards. The company values an entrepreneurial spirit and encourages this within a mutually-supportive team, backed by a strong work ethic which also affords opportunities for continuous learning that assists learners in their careers and life paths. To offer a guarantee for our clients of quality services that can be relied on and for which value will be given.